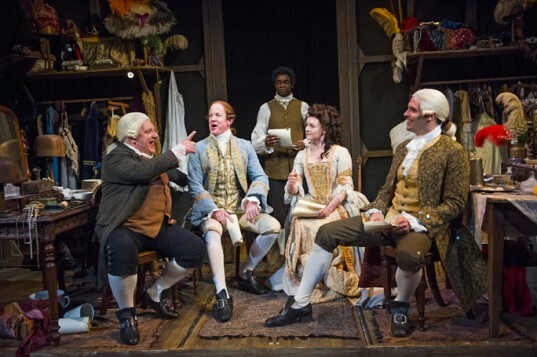 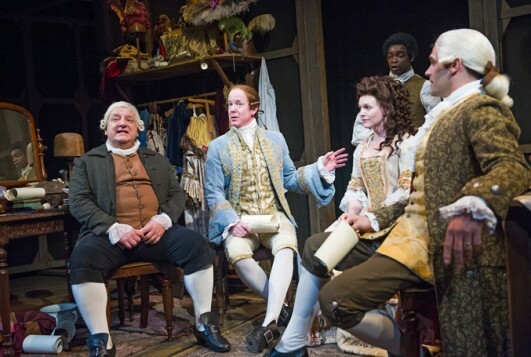 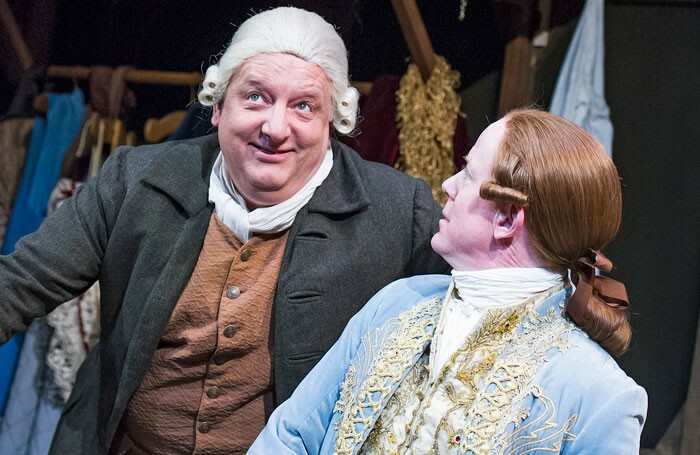 Ian Kelly’s deservedly acclaimed biography shone a light on the eventful life of Samuel Foote, a pivotal if forgotten figure in the history of London’s Haymarket Theatre, and the history of 18th century theatre in general. 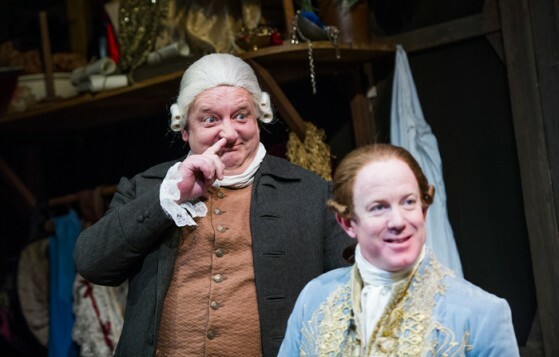 Foote was a popular comic performer and satirist, a friend and contemporary of David Garrick, a regular donner of frocks, and a precursor of the panto dame. At the height of his career, an accident while horse riding resulted in the amputation of his leg – the production does not shy from showing how traumatic this would have been without the benefit of anaesthetic – and he was never quite the same afterwards, lacking in inhibition, reckless in his affections. 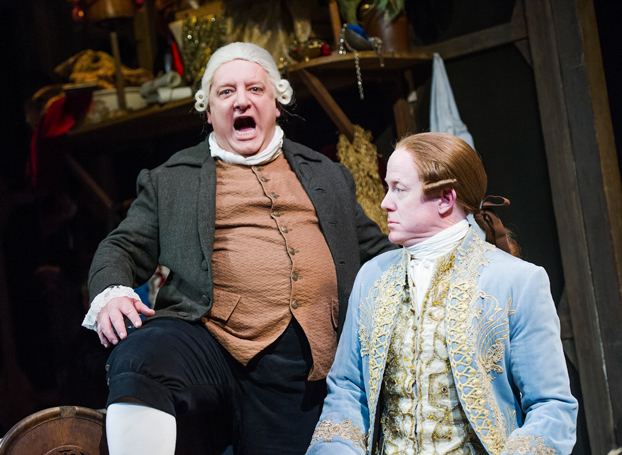 Kelly’s adaptation of his book for the stage – an actor himself, he also gives a nuanced performance as George III – is intelligent and assured. He makes a few conflations, dragging in other notable characters of the period: the Jamaican manservant, Frank Barber, here comes to work for Foote instead of Dr Johnson, and is made the object of his employer’s ill-advised advances. But for the most part Kelly’s reworking is witty and engaging, managing to cram in a lot of historic context without it feeling unwieldy. 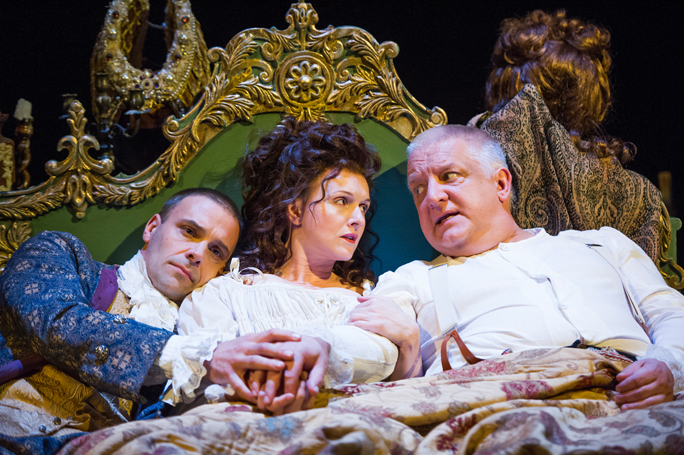 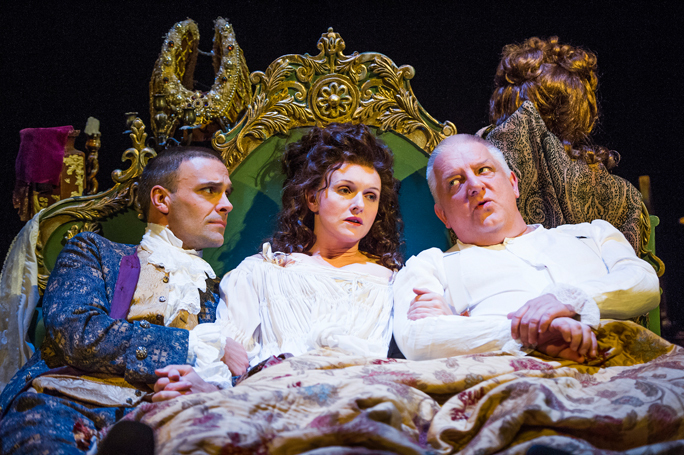 Simon Russell Beale plays Foote with a customary wholeness, every gesture eloquent, and there’s capable support from Joseph Millson as Garrick and particularly from Dervla Kirwan as Irish actress Peg Woofington – some of the strongest scenes concern the backstage exchanges between these three. 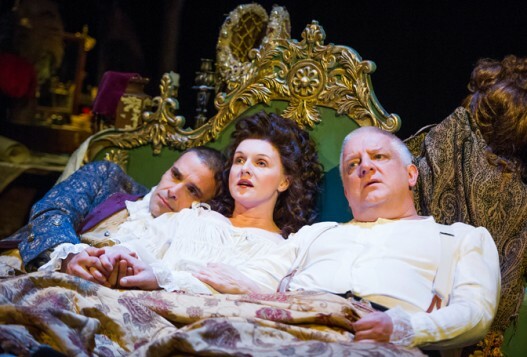 While Richard Eyre’s production is not always the nimblest of things in terms of pacing, it is perceptive and humane, capable of moments of real tenderness, a celebration of the strange electricity of theatre.